Want to know what it's like to suddenly find out you have superpowers? Fourteen-year-old Zach knows. Cool, right? Well, it doesn't turn out to be all roses. In addition to dealing with the grief of his dad being killed in a plane crash, Zach discovers things he never wanted to know. His dad used to tell him bedtime stories about "The Bads." But it turns out that The Bads aren't just characters in bedtime stories; they're real. And his dad was the one hero who could fight them. Will Zach be able to move past the tragedy of losing his father? What will happen now that the world's only hero is dead? Will Zach be able to hone his superpowers to keep the world safe? Celebrate the New Year -- with Anime! It's become an annual tradition here at the library -- the All Ages Animanga Fest, happening this year on Thursday, Dec. 30 from 4-6 p.m. in the Community Room. 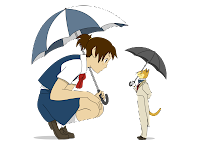 Watch a Miyazaki classic The Cat Returns, sample Japanese treats, make some crafts and play traditional Japanese New Year's games. 2010 is almost to a close and the publishing world has released a number of great graphic novels for children this past year. It is always a pleasure to help you and your children choose the right graphic novel to take home. And if your child isn't a big reader, graphic novels make for great reading entertainment for reluctant readers. Here's a list of my top 10 favorites (in alphabetical order) and I hope that your young readers will enjoy them too! 1. Amelia Earhart: This Broad Ocean by Sarah Stewart & Ben Towle--I really enjoy historical fiction and this book is no different. Follow Grace, an aspiring young journalist who is excited when Amelia Earhart arrives in her town of Trepasey, Newfoundland in June 1948. The illustrations match the time period quite well and the book is nicely researched. For grades 4-6. 2. Johnny Boo and the Mean Little Boy by James Kochalka--This is the latest installment in the Johnny Boo series. Johnny Boo 's little buddy Squiggle wants to play, but Johnny's in no mood, so he makes friends with a butterfly-hunting little boy. For grades 1-4. 3. Lunch Lady and the Summer Camp Shakedown by Jarrett Krosoczka--In this fourth installment of the Lunch Lady Series, the school lunch lady spends the summer as the camp cook at Camp Shakedown where she investigates the mystery of the legendary swamp monster. And of course, the Lunch Lady does all her crime fighting using her kitchen gadgets. For grades 2-5. 4. Meanwhile by Jason Shiga --This is the first ever "choose your own adventure" type of graphic novel I've ever seen. After making a choice between chocolate or vanilla ice cream, follow the tubes that lead to different panels throughout the book. According to cover, you can have over 3,ooo different story possibilities. For grades 3-6. 5. Michael Townsend's Amazing Greek Myths of Wonder and Blunders By Michael Townsend--This is one of the funniest books I've read all year. I really enjoy Townsend's fun illustrations and the characters are so cute. Full of humor, this book will entertain readers with bickering sheep, unruly rulers, and lots of jokes. This book also makes for a great introduction to Greek myths for young readers! For grades 3-6. 6. Olympians Series: Book One: Zeus: King of the Gods & Book 2: Athena: Grey-Eyed Goddess both by George O'Connor--For more advanced readers, writer and illustrator O'Connor does a phenomenal job portraying the power of both of these Greek gods. Their strength and emotions jump off the pages and contain more depth for advanced readers. For grades 4 and up. 7. Peter H. Reynolds and FableVision Present Zebrafish by Sharon Emerson--Vita forms a band with her new peers to raise awareness and generate donations to help a classmate with a terminal illness. Through their example, children will gain a sense that they too can make a difference, no matter how big or small. Plus, I love the blue hues used in this book and Vita's purple hair! For grades 4-6. 8. Smile by Raina Telgemeier--From 6th through 10th grade, Raina copes with a variety of dental problems all because she tripped and fell, knocking her front teeth out. Telgemier is also the illustrator for the Babysitter's Club graphic novel series. For grades 4 and up. 9. True Things: (Adults Don't Want Kids to Know) by Jimmy Gownley--The latest installment of the Amelia Rules! series, where Amelia celebrates her 11th birthday. But before the birthday party, she must endure some hardships among the people she loves. For grades 4-6. 10. Zig and Wikki in Something Ate My Homework by Nadja Spiegelman--This is the latest publication in the Toon Books line, graphic novels perfect for beginning readers. New characters, Zig and Wikki, travel to earth to find a pet for a class assignment. For grades K-3. For those of you who don't know, we have a small Juvenile World Languages Collection. In addition to our rather large Spanish Language collection, we also have holdings in Arabic, Chinese, French, German, Japanese, Korean, Russian, Somali, Tagalog, and Vietnamese. And I am pleased to announce that we will also soon be adding Hindi! Some of the titles are bilingual. Ask a librarian to show you. This Friday, December 24, we'll show the last of the Feel-Good Films series. 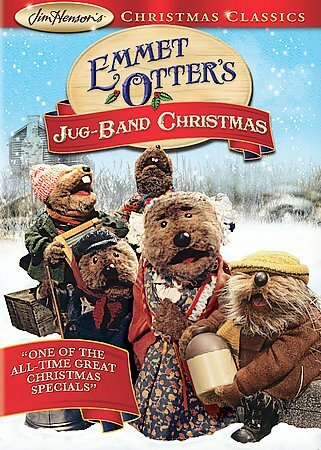 Catch Emmet Otter's Jug-Band Christmas at 2 p.m. and the 1966 classic Dr. Seuss' How the Grinch Stole Christmas at 3 p.m. in the Community Room. We'll also have supplies on hand to make last minute cards, gift tags and bags, bows and other crafty stuff. Sounds like a good way to keep the kids entertained as they wait for bedtime! Looking for a good story to share? 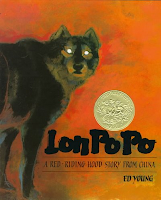 Did you know that in addition to our great picture book collection, we also have a large section of folktales and fairy tales from around the world? Yep. They can be found in the Juvenile Non-Fiction collection under the J 398s. Whether you'd like to read the different Cinderella stories from around the world or you'd like to brush up on your fables, you'll find plenty of stories to explore. Here are some of my favorites. 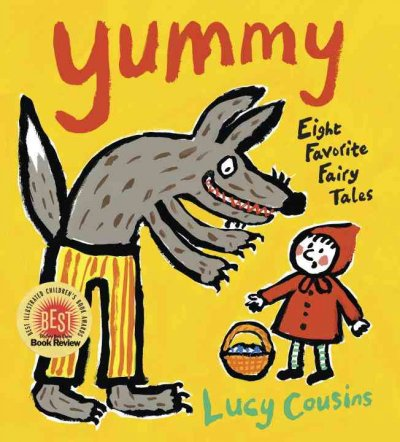 Yummy by Lucy Cousins. Yes, the creator of the Maisy books has a fantastic collection of your favorite stories, complete with her illustrations. A great introduction for younger ones to some of these tales. 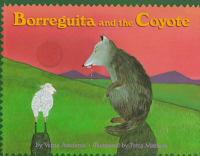 Borreguita and the Coyote by Verna Aardema. This tale from Mexico follows a clever little sheep as she tries to elude the coyote intent to have her for dinner. Lon Po Po: A Red-Riding Hood Story from China by Ed Young. When Mom goes to visit Grandma, a hungry wolf pretends to be the Grandma to trick the three little girls left behind. 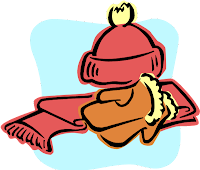 There will be a story time break, with regular programs returning Monday January 3. In the meantime, families are invited to hang out, socialize, play and, generally, have fun in the Puett Room. We'll leave the door open and the toys out to enjoy. So keep your story time schedule and visit the library with your little one. It might be a little chilly outside, but it's nice and toasty in the library. Warm up your spirit (and keep the kiddos and relatives entertained!) with a few Feel-Good Films. From Monday, December 20 through Friday, December 24, we'll be showing films every afternoon from 2-4 p.m. Click here for a full list of movies and descriptions. 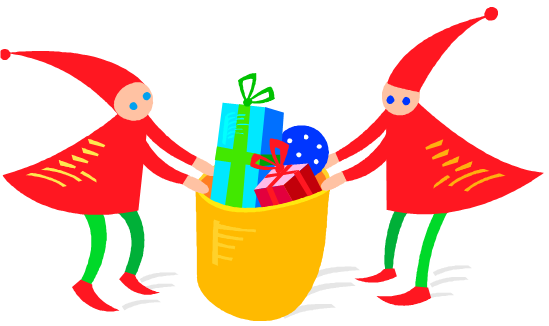 Not only will we be showing movies on the big screen, we'll also have craft stuff available to decorate a gift bag, personalize a card, create gift tags, make a bow or craft an ornament. Yep, the elves can relax and still be busy making stuff! Anna recently blogged about a young Newbery Book Award fan's blog, and now I'm going to tell you about a blog from some literature lovers on the other end of the spectrum: authors of non-fiction books for kids. 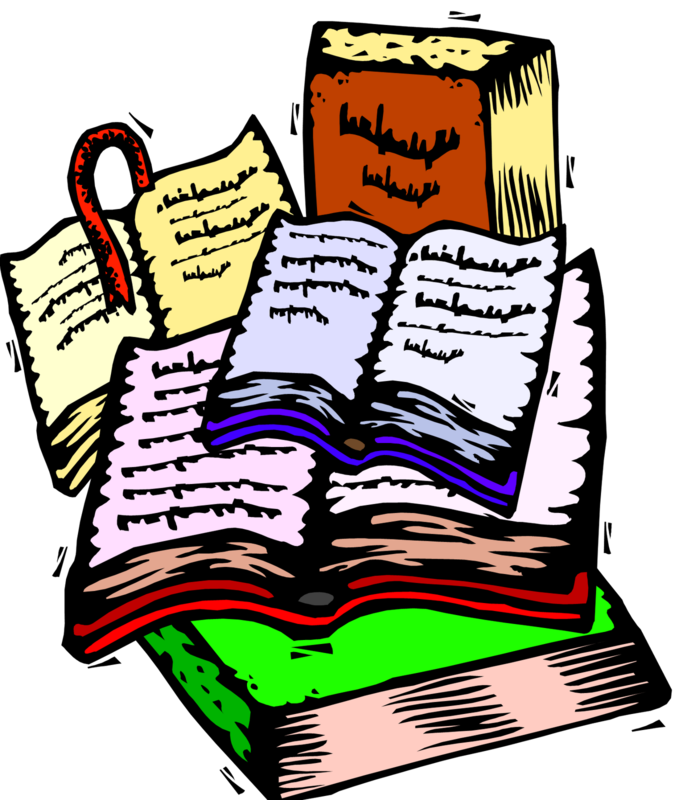 You will find some great suggestions for non-fiction to read to and with your kids. 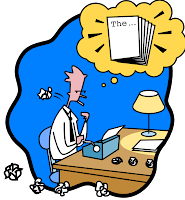 You will get the inside scoop on writing from the writers themselves. 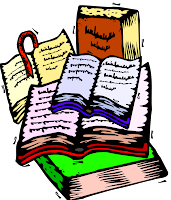 You will find links to other information and articles about non-fiction for kids. The Reptile Man returns to the Tigard Library, Tuesday, December 14 at 7 p.m. in the Community Room. Mr. Richard Ritchey will entertain the whole family with the mysterious world of reptiles. Don't forget to stop by the Children's Room to check out a few books on your favorite slithery and scaly friends. Recently I came across this great article in the Huffington Post about the importance of story times for toddlers and how not important it is for them to learn to read. One of the best ways you can encourage your child to become a great reader is by enjoying books with them...no flashcards or videos required. Story times provide a good time for this; you and your child are singing, laughing, clapping and sharing. One of my favorite quotes from the article: "...language skills and the actual activity of reading with an adult are the most important outcomes of toddler story time - not learning the words out of context." So enjoy story time with your little one, whether they sit in your lap and listen, or play with a board book, or watch the other kids in the room! Know that they're soaking up all of it (the stories, social interactions and everything else happening!). The year is 1985. The country is Sudan. Eleven-year-old Salva is forced to leave his village due to the war going on. He does not know whether he will ever see his family again, but has come to accept that they are probably dead. He walks and walks with other refugees across the war-torn country, rows home-made boats across the Nile, and walks and walks some more across a desert until he reaches a refugee camp in Ethiopia. He experiences and witnesses terrible horrors, but never loses hope. The year is 2008. The country is still Sudan. Eleven-year-old Nya walks and walks every day to get water for her family. Three trips a day to the pond which is miles away from her village and eventually dries up so that every year her family then has to camp by a lake that is days away from their village. The only reason they don't permanently stay by the lake is because it is too dangerous because of the war. The lives of Salva and Nya eventually intersect. Little did Salva know when he was Nya's age that he would do so much for his war-torn yet beloved country years after he left Sudan for the United States. Linda Sue Park, author of Newbery Award winner A Single Shard, wrote A Long Walk to Water, based on the life of Salva Dut. It is a heartrending story about hope, at times difficult to read because of the horrific events the reader experiences with Salva. Recommended for 4th grade and above. Parents, this is a good book to share with your child and will open up a discussion about the horrors of war. The Mitten Tree is looking festive in the Puett Room (otherwise known as the story time room!). 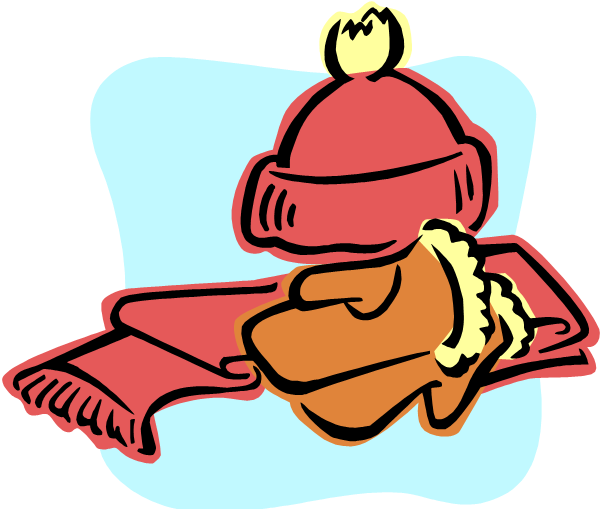 Feel free to stop by any time to add your donations of new mittens, scarves and other warm stuff to decorate our tree. All of your gifts will go to the Good Neighbor Center to help homeless families in Washington County. Generously sponsored by Friends of the Library. You may have noticed by now, but the library catalog has a new feature. Next time you're searching for books about a subject and you just want to know what's "in" that you can check out, you're in luck! If you're in the Tigard Library, for example, under "Limit by" select "Items that are IN." Instead of seeing all the items throughout the county, you can see the ones on hand in Tigard that are ready to bring home right then. It's exciting news...at least for librarians! It seems more and more people, including kids, are talking about money, whether it's the economy, personal finance or allowances! The Oregon State Treasurer and The Oregon College Savings Plan have teamed up to encourage this awareness through Reading is an Investment, a literacy and financial education program. Elementary students (K-5th) can sign up for the program, track their reading and be entered into a drawing for $500 towards an Oregon College Savings Plan account. Twenty scholarships will be awarded in each of Oregon's five Congressional Districts. How does it work? Check here for more information or stop by the library to pick up your reading log, instructions and booklist and get started! These books actually encourage some early literacy skills! The two that come to mind for me are Vocabulary and Print Motivation. Your kids will learn names for butts they never knew. Whether that's the kind of vocabulary you want them to learn, of course that's up to you! But just so you know, my son loves Chicken Cheeks, and he doesn't go around saying all the different names for his bottom after we read it. Of course, he's not quite 3, so that could change! More importantly, if your kids enjoy these books, they are developing the skill of Print Motivation, or the love of books. In my opinion, reading kids books they like, regardless of the topic, will go much further toward developing a future love of reading than reading them "quality literature" you feel like they should hear. Boxes are pretty fabulous. I remember as a kid when my little brother held a box sale in the front yard. It's amazing that something so simple can hold so much imagination. 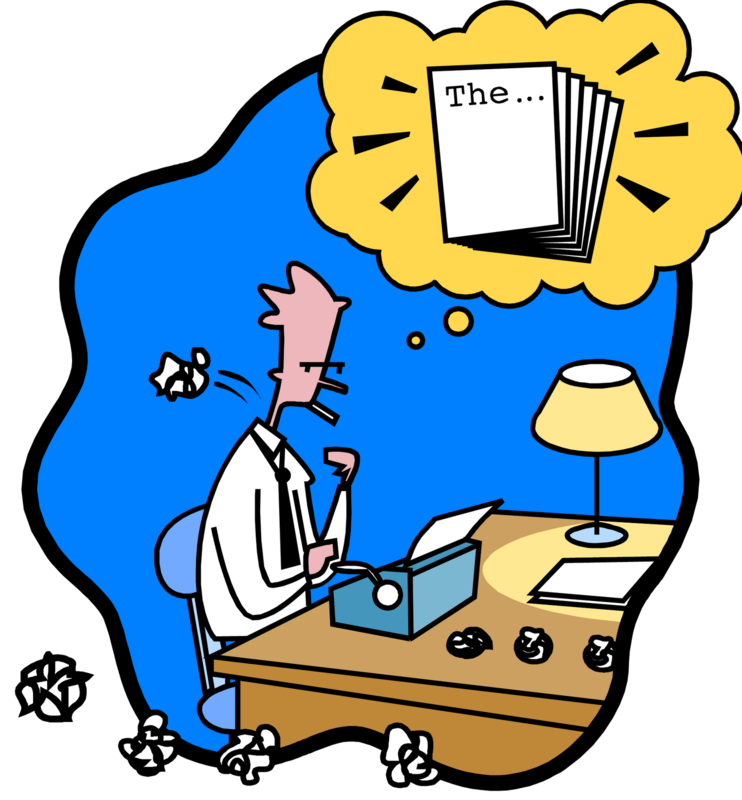 It's only natural that authors have captured this feeling in picture books. Here are my favorites on the subject. Maybe your little one will be inspired to find adventure in a box! Birthday Box by Leslie Patricelli. It's baby's birthday and the best present is the box things were packed in. Not a Box by Antoinette Portis. Older kids will giggle along as bunny insists that he is not playing with a box, but much more exciting things instead. Thank You Bear by Greg Foley. Bear thinks he has found the best gift for his friend Mouse, except everyone else criticizes his choice. So the family is in town. You've done the celebrating. Now what? Take advantage of the family time and head over to the library for our Family Ties program. On Friday, Nov. 26, from 2-5 p.m. stop by the Community Room to craft together and share some memories. We'll have plenty of craft supplies for you to get creative. And as part of National Listening Day, we'll have recording equipment handy for you to record loved ones reminiscing about their lives. You can preserve their memories for years to come. Sounds like fun for everyone...see you then! It's the season, at least in libraries, for gathering our predictions of this year's pick for the Newbery Medal. We argue and advocate for our favorite children's book published this year and hope that our favorite is the one chosen. It's usually around this time that kids (and elementary education students) come in with their assignment to "read a winner." One young girl took this to the extreme. To be exact, as a second grader she decided to read all, yes, all, of the past Newbery Medal winners before she entered middle school. Laura Rogers decided not just to read them, but to talk about them too...on her blog. I love having insight into these books from an audience member that these books are chosen for. Having reached her goal (amazing! ), she's now reading classic great books and the contenders for this year's medal. Very awesome! P.S. For those interested, the winner will be announced in January. Fifth-grader Bethesda Fielding likes school. She doesn't even mind sitting through Mr. Melville's history class even though he is kind of intimidating. She looks forward to his Special Projects, and this one is no different. The students have been charged with the mission of solving a mystery in life. Bethesda decides to solve the mystery of Ms. Finkleman. She is this mousy, little boring music teacher that nobody really even notices. Or is she? When Bethesda finds an old '80s punk record of her dad's which just happens to have a picture of their very own Ms. Finkleman on the cover, the whole school goes berserk with excitement. And Ms. Finkleman doesn't seem so boring and mousy anymore. Read The Secret Life of Ms. Finkleman, by Ben H. Winters. This is a fun, funny, touching book that I recommend for about 3rd grade and above. 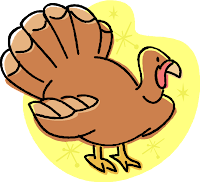 Join us on Saturday, November 20 from 1:30 to 2:30 in the Puett Room as we make a little turkey decor for your Thanksgiving dinner table. Napkin holders, placemats, bouncing turkeys...you don't want to miss it! Otto, Lucia, and Max Hardscrabble don't live a normal life. Their mom has been missing for years, and for all they know she could be dead. Their dad leaves for weeks at a time for work; he paints portraits of former royalty who are no longer so royal. He is about to leave again, but this time it is different. They usually have time to prepare, but they just got home from school, and their bags are packed. They also find out that they're not staying with Mrs. Carnival (thank goodness, because Max is tired of popping the boil on the back of her neck) but instead are going to stay with their dad's cousin, Angela, in London. The only problem is, when they get to Angela's, they find only a mean neighbor, Angela's mean dog, and a mean dogsitter at her house. I won't tell the whole story, but just know that the kids meet a tattooed man, they come upon a very oddly shaped castle and its folly (you'll have to read the book to find out what a castle's folly is), and they end up acquiring a 5-legged cat. You'll also just have to read this book by Ellen Potter to find out why it is called The Kneebone Boy. I would recommend if for about 4th grade and up. Tis the season for cooking...and baking....and candy making. Cooking as a family can be a lot of fun. It's also a great literacy skill. Not only do you have to read what to do, but you also need to understand how the numbers work with the recipe. We have lots of cookbooks for kids in our Juvenile Non Fiction section, J 641.5, with recipes from around the country and the world. Cook It Together by Annabel Karmel. Yummy recipes with great pictures showing most of the steps. Emeril's There's a Chef in My World by Emeril Lagasse. For a family looking for a culinary adventure, you could try some of the recipes from this book. Ratatouille What's Cooking? A Cookbook for Kids. Everyone's favorite cooking rat presents some tasty French treats. Happy cooking! 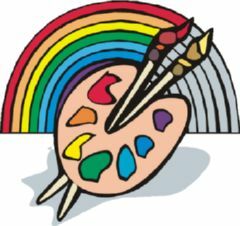 Stop by the Community Room this Saturday afternoon, 1-5 p.m., and watch watercolor paint, acrylics, beads and more transform into works of art. Tigard artists will answer your questions as they fashion new creations and display recent works. A "Make Your Own Masterpiece" station will be available for the younger artists in your family. Endangered species are often in the news, but what about those wily, adaptable animals and plants that we see every day, like crows, squirrels, dandelions and ants? 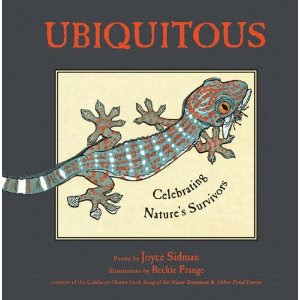 Ubiquitous: Celebrating Nature's Survivors, written by Joyce Sidman and illustrated by Beckie Prange, is a unique blend of poetry, facts, and gorgeous watercolored linocuts, singing the praises of beings that have managed to make it through millions of years. Read it with your young ones, and gain a new appreciation for common critters. 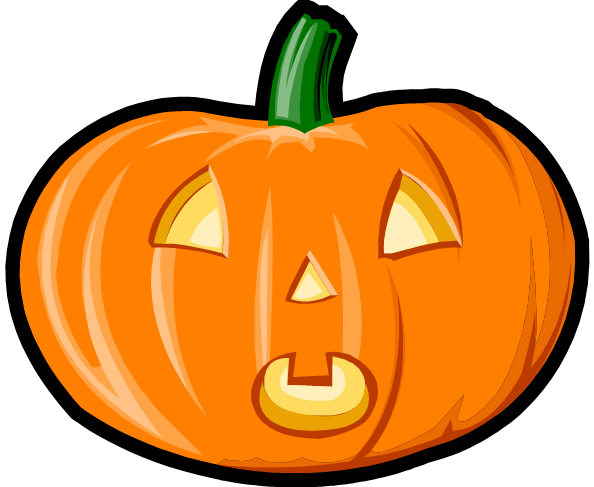 Looking for some spooky fun in Tigard this weekend? Get in the spirit with a few spine-tingling tales from the display in the Children's Room of the library (in the Fiction section). Find just the right story to share with the perfect amount of scare. Stop by the Tigard Farmer's Market on Sunday, Oct. 31 from 9 a.m. until 2 p.m., for the final day of the market and a special seasonal celebration. Bring bags for your treats, meet Gentle Biff the Clown and enjoy the market. 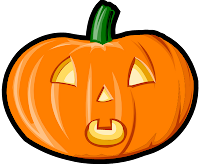 Tigard High will be hosting their annual Halloween Trick or Treat Rooms on Sunday, October 31 from 3 to 5 pm. There is no cost but they are asking for a donation of canned food. In the summer of 2001, 11-year-old Afghan refugee, Fadi, was the last person in the family to touch his 6-year-old sister, Mariam, before the big army truck sped away without her. If only Fadi had just put her Barbie in his backpack like she had asked, she wouldn't have paused to pick up the beloved doll she dropped, and he wouldn't have lost grasp of her hand. It's all his fault, at least in his mind. The family had no choice but to return to the United States where Mariam was born, without her. Fadi's American-educated father, Habib, had high hopes of helping the Taliban rebuild Afghanistan, but when the Taliban began to abuse power like their predecessors and expected Habib to help them, the family's only option was to flee. On top of the loss of Mariam, the family is also dealing with the anti-Muslim sentiment in the wake of 9/11. Now Fadi has the perfect opportunity to bring Mariam home: he must win a national photography contest whose grand prize is a trip to India. And from India, it is just a short plane ride to Pakistan where the family now believes Mariam is. Will Fadi triumph over a thousand other photography hopefuls? Will the family be reunited with Mariam after months of not knowing where or how she is, or even if she is alive? At the suggestion of one of our other librarians, I am adding a book each to m y Monsters booklist and the Good Night booklist. In her words, "I feel so, so, so, so, so dang strongly about these two books!" Now if that's not a strong recommendation, I don't know what is! Thanks, Wendy! I have added these to my two past blog entries but wanted to point out the changes. Even if you didn't make it to our Rock 'n' Roll Kindy program with Mo Phillips on October 12, you can enjoy two tracks, composed and recorded on the spot by the just-formed Great Feeling Band. Go to http://www.rocknrollkindy.com/ and click on MUSIC to hear "Let's Get Together and Dance" and "Twinkle Twinkle Little Star." Rock on! Those fall rains have started, just a hint of the grey days of winter. Create your own indoor fun with some crafts. Even a not-so-crafty person can help their youngster get creative with simple stuff you probably already have. Try one of these books (and their Dewey number for similar books) for some ideas. Organic Crafts by Kimberly Monaghan (J 745.5 MON) 75 eco-friendly activities that use things you can find in your yard. In addition to leaf art and garden chimes, this also includes science activities like making soil and the "Nature Notes" about the science behind this "craft supplies." Make It by Jane Bull (J 745.5 BUL) I love these crafts. From awesome looking bowls made out of a paper scraps to bottle cap art, this stuff is cheap, simple and incredibly creative. Basic instructions are given and then kids can take the designs to their imaginations! 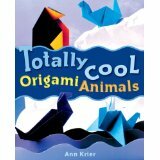 Totally Cool Origami Animals by Ann Kristen Krier (J 736.982 KRI) With simple photographs of each step (thank you!) these origami animals are easy to make, even for the most novice paper folder. 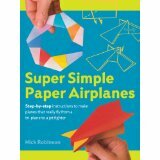 Super Simple Paper Airplanes by Nick Robinson (J 745.592 ROB) Follow these instructions to make some serious paper airplanes. Then have a family race to see which design works the best. You'll be amazed at how many different designs there are. Rain is in the forecast. 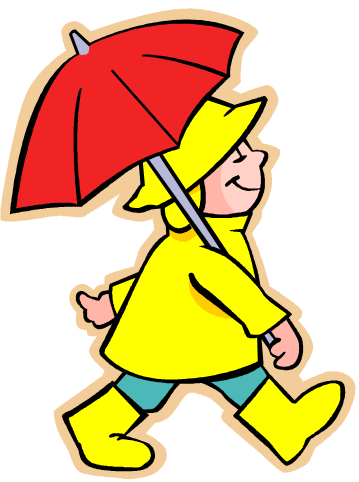 Luckily, the library has some fun activities planned to keep the kiddos occupied indoors. 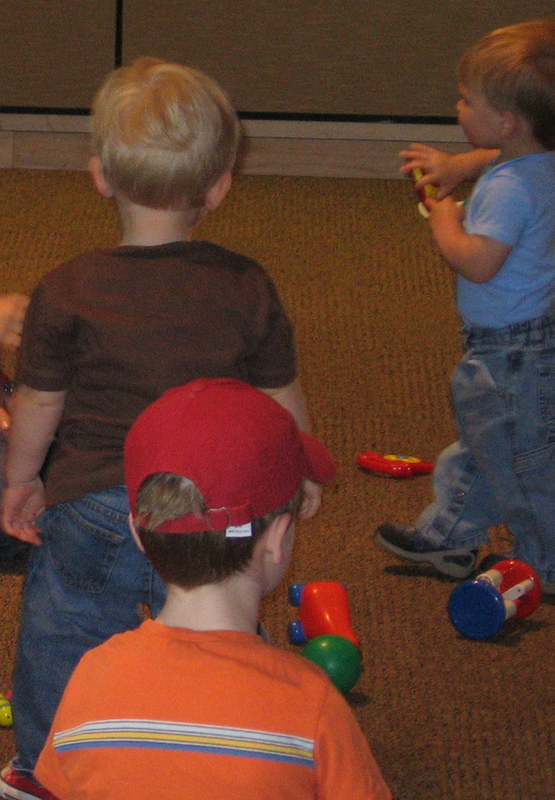 With no school on Friday, bring the whole family to our Family Game Fest from 2-4 p.m. in the Community Room. Try out board games, Rock Band and other video games on the big screen. Awesome! For those who need a little sparkle in their lives, stop in Saturday to the Puett Room from 1:30-2:30 for our Fancy Nancy Extravaganza! If it's fancy, it's got to be fun! Sunday from 1:30-3 p.m stop by Puett Room for some Lego building fun. We'll supply the blocks for some easy entertainment. While you're here check out some movies, music and books to help that inside time fly by! Having a hard time finding any Halloween books in at this time of year? Here is a list of some of my favorite monster books that are just included in the regular Picture Books section, instead of the Halloween Picture Books section. Some I'm sure you've heard of, hopefully some you haven't. Emberley, Ed. Go Away, Big Green Monster! Some of these links you will have to slog through a few titles before you actually find the book I'm talking about in our library catalog. Sorry about that!